Brought up believing that all gods are one, Pastor Chitra’s world came crumbling down with the death of her father. Her subsequent move to India for higher studies also made her inquisitive in her search for the Creator. Having tried various methods, she finally cried out to the Unknown god to reveal himself to her. A vision of the Cross in mid-1993 turned her life around. Having heard the gospel, she believed and was born again. Her experiences have made her a worshipper and true lover of God. 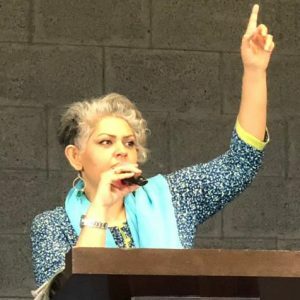 Bold and unabashed in her approach, Pastor Chitra brings joy to the lives of many as she teaches from the Word and leads the Worship in Grace Chapel. 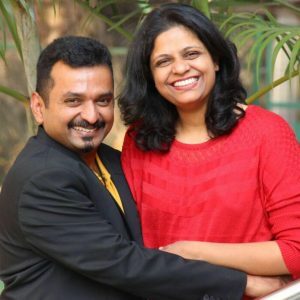 Apart from being a wife and mother of two, Pastor Chitra also spends time caring and praying for the Church.